Order Payslips online from Wageslips4U Approved Sage Forms! Wageslips & Payslips with FREE Royal Mail (Recorded) Delivery, on All Orders! 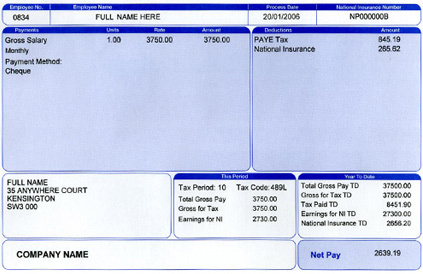 All our pay slips are laser printed on Sage Payroll Stationary. Sage pay slips are of the highest quality available and are used by thousands of companies large and small in the UK! So rest assured when you order replacement pay slips from us, You order from the Best!